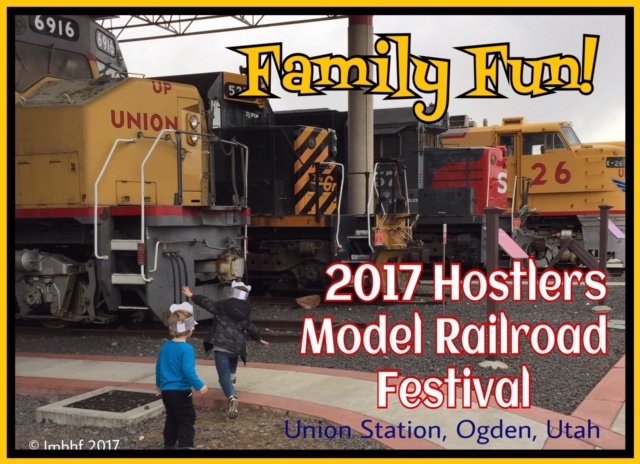 Festival Fun – Family fun at the 2017 Hostlers Model Railroad Festival! Last Sunday we had a great time at this festival at Union Station in Ogden, Utah. 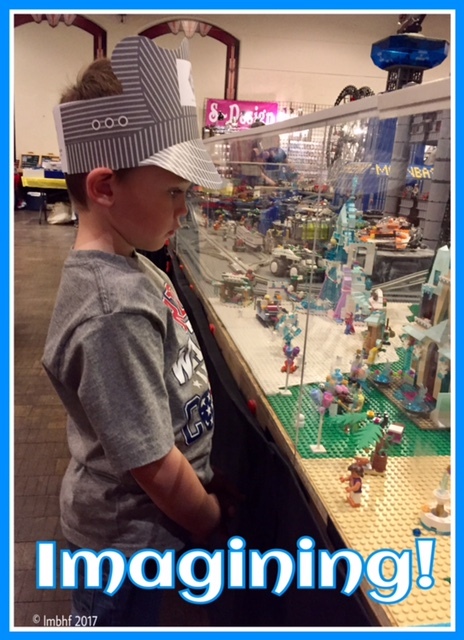 G4 fell in love with trains awhile back when he played with a train set at Barnes and Noble. He cried so hard and was so sad when he had to leave that Aunt Hill took him to Target to buy one. Thus began a love affair with trains that has been going strong ever since. G2 came accross Grampa’s old train set in the garage and has been trying to no avail to get Grampa to let him play with it. Back at Christmas time they had a model train display in the mall where we sometimes eat lunch. We could hardly get the boys to eat for wanting to watch the trains going round. Since both boys like trains so much. 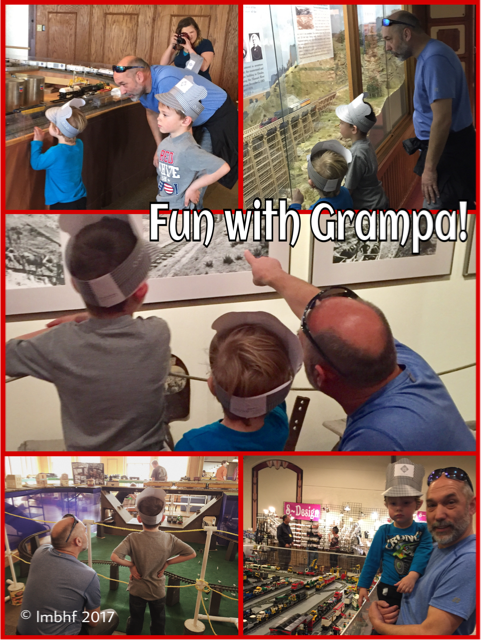 Grampa thought it would be a fun idea to take them to the Model Train Festival. G1 and G3 couldn’t come to the festival with us because they were busy moving (closer to Gramma, yay!!). G5 came along but she’s still a bit too young to be too impressed by model trains, so she took a snooze in her stroller! There were trains of every size, from tiny ones to the real thing, life sized ones! 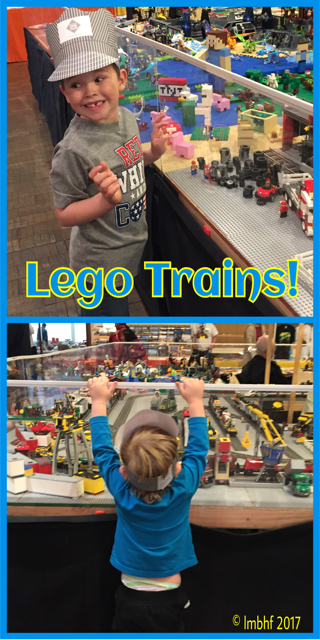 They even had Lego trains which was one of the boys’ favorite displays. They gave out free paper engineer hats and the kids wore them the whole time we were at the festival. 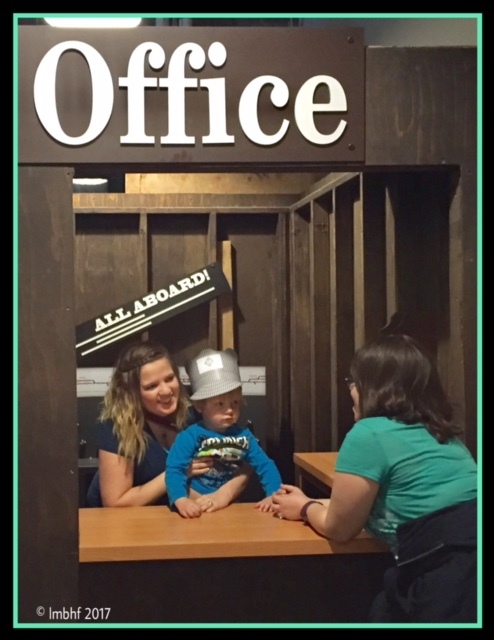 A ticket booth and a train car with a video that made it look like you were sppeding down the track were also highlights. 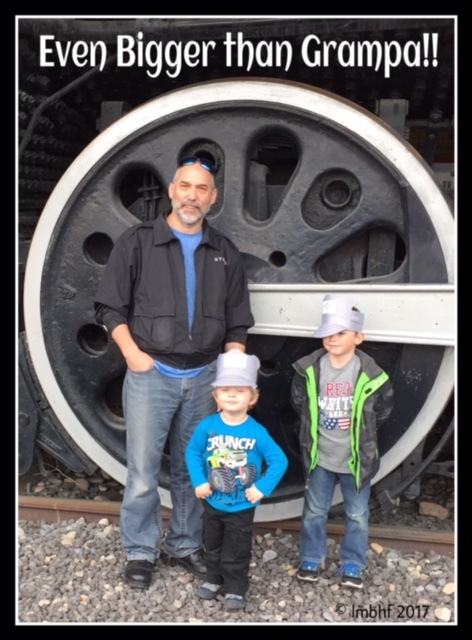 Grampa and the boys stood next to one of the big trains’ wheels and it was even bigger the Grampa! 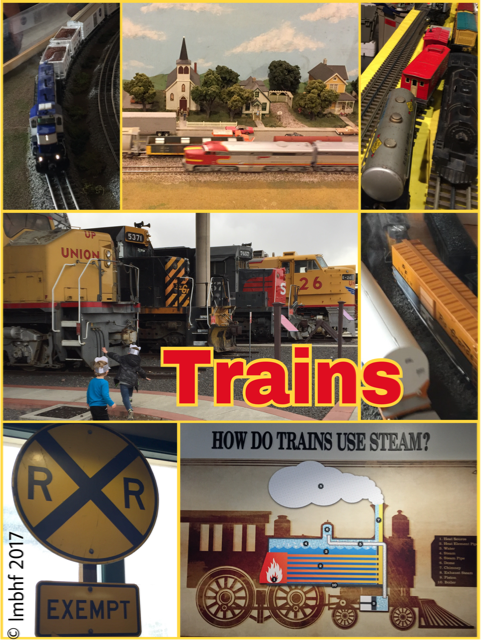 Some of the things we saw are on permanent display at Union Station, but most of the model railroad displays were just there for the weekend festival. 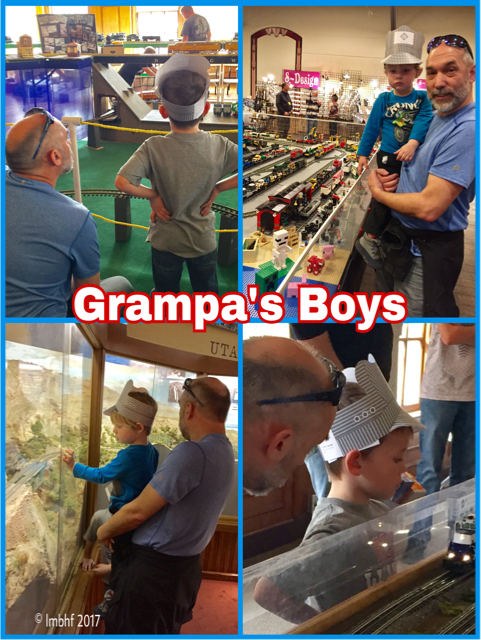 The boys had so much fun, we all did! We’ll be looking for more local festivals to attend for some more family fun! If’ you’d like to find some kind of festival to attend with your family, your local newspaper, or your city’s facebook page or the website of an event venue near you are good places to look! 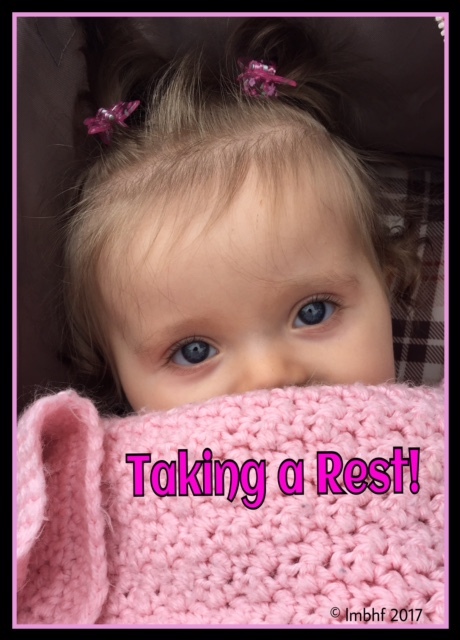 Festival Time – Look at How Much Fun We Had! 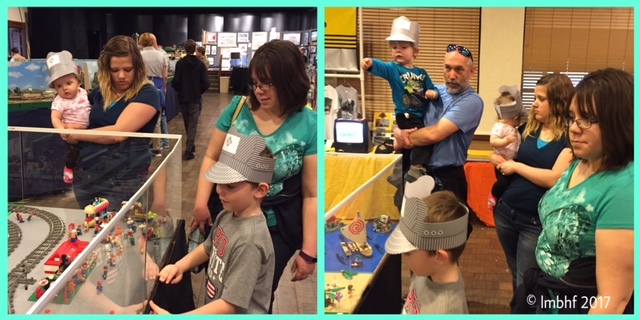 The boys lovin’ the Lego Trains Display! 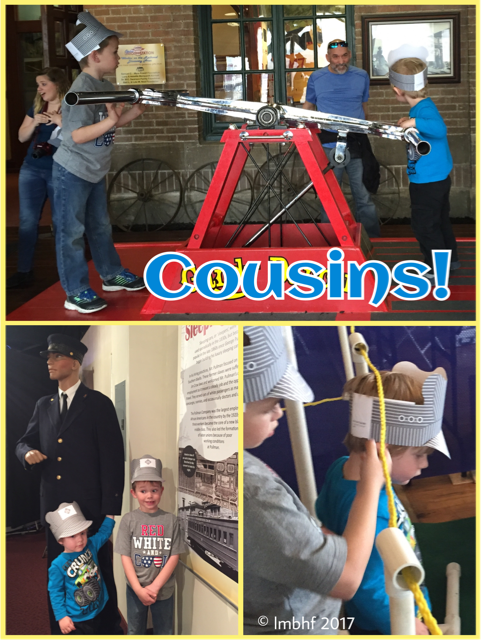 Family Fun at the Train Festival! Selling train tickets to Aunt HeHe! Train Festivals can wear little ones out! Fun outside with the Big Trains! Now that is a BIG Wheel! You might also like Discovery Gateway Children’s Museum. « Books for Kids – St. Patrick’s Day!